The summer movie season kicks off early this year with Avengers: Infinity War arriving tonight for sneak previews, but another superhero sequel, 20th Century Fox's Deadpool 2, is poised to open huge just a few weeks later. The first box office projections for Deadpool 2 are in, putting the sequel at $150 million for its opening weekend. This current estimate puts it roughly $18 million ahead of the $132.4 million debut for 2016's Deapdool, which shattered the 13-year record for the highest opening for an R-rated film of $91.7 million, held by The Matrix Reloaded. There are no estimates for its domestic total at this time, but the original Deadpool ended up earning $363 million domestic, the second highest domestic tally for an R-rated movie ever, behind Mel Gibson's The Passion of the Christ ($370.7 million) but it became the highest-grossing R-rated movie worldwide, breaking The Matrix Reloaded's record tally of $742.1 million. While many sequels fail to live up to expectations when the original movie was such a big hit, it seems possible that Deadpool 2 could break its own worldwide record, while also topping The Passion of the Christ on the all-time R-rated domestic charts. These figures also come after the latest Avengers: Infinity War projections put it between $235 million and $255 million, which could break the all-time opening weekend record of $247.9 million set in December 2015 by Star Wars: The Force Awakens. What's interesting is that Marvel had long staked out the May 4 weekend for Infinity War, but made the bold and surprising move to push it back a week to April 27. 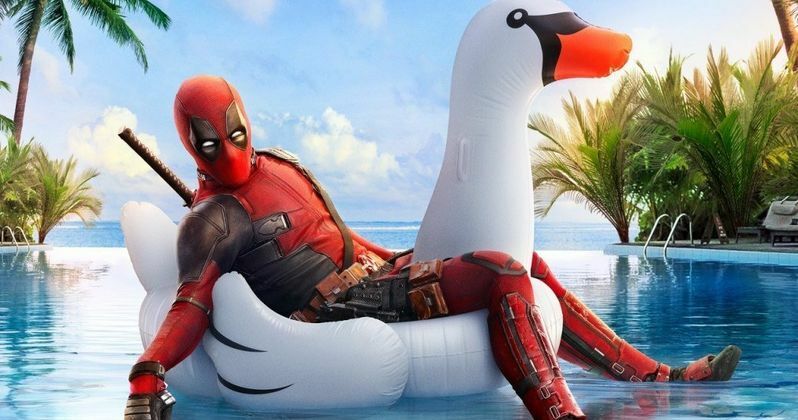 While no reason was given for the surprising shift, it did come shortly after 20th Century Fox pushed Deadpool 2 from June 1 to May 18. It's possible Marvel wanted to give Infinity War a three-week window to dominate at the box office before another superhero movie, Deadpool 2, hit theaters. The original Deadpool was made for $55 million, and the original projections put it around $50 million, with some putting its opening weekend as high as $80 million. Those projections came before the early screenings happened, and while the buzz kept growing and growing, no one could have guessed the enormous opening weekend it had put up. Since then, it has paved the way for other R-rated hits such as Logan, Get Out, Split and many more, as many start to wonder when Marvel and the DCEU will start putting out their own R-rated movies. Ryan Reynolds returns as the Merc With the Mouth in Deadpool 2, along with Morena Baccarin as his girlfriend Vanessa, T.J. Miller as his assassin colleague Weasel, Leslile Uggams as the Merc's roommate Blind Al, Brianna Hildenbrand as Negasonic Teenage Warhead and Karan Soni as his cab driver Dopinder. New casting additions include Julian Dennison as Russell, Josh Brolin as Cable, Zazie Beetz as Domino, Terry Crews as Bedlam, Lewis Tan as Shatterstar and Rob Delaney as Peter. You can head over to Variety for more on Deadpooll 2.